1. Create the chimichurri the day before for maximum flavor. 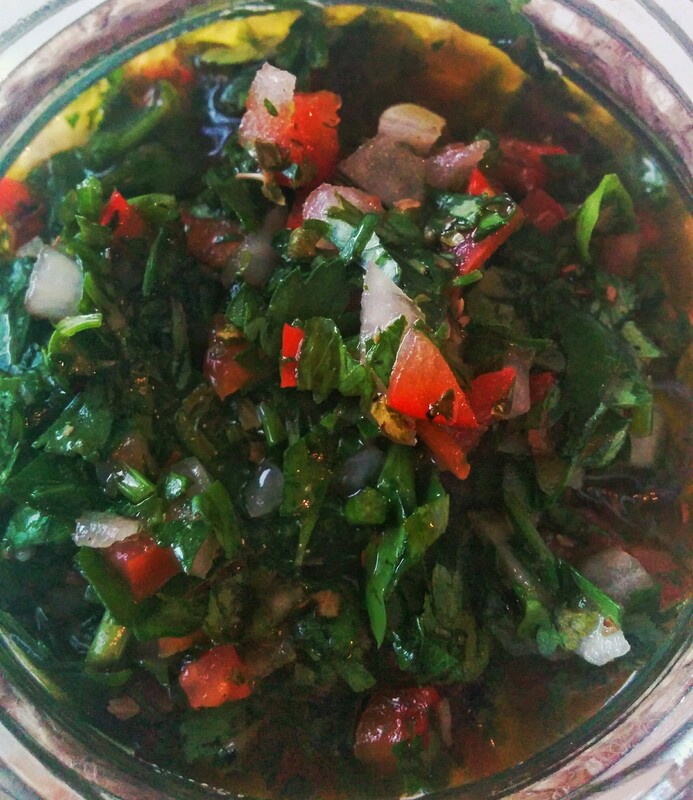 Click here to see the recipe for Chimichurri. 2. Preheat oven grill for a few mins on medium. Cut your capsicum into little strips, spray the capsicum with canola oil, than add onto a baking tray and place in oven until golden brown. Only takes maximum 4-5 mins. 3. Meanwhile, pan fry your chicken tenderloins until golden on each side. While the chicken is cooking… Have your ingredients on the side ready. Toast your ciabatta pieces just a min before your chicken is ready. 4. Assemble your burger. 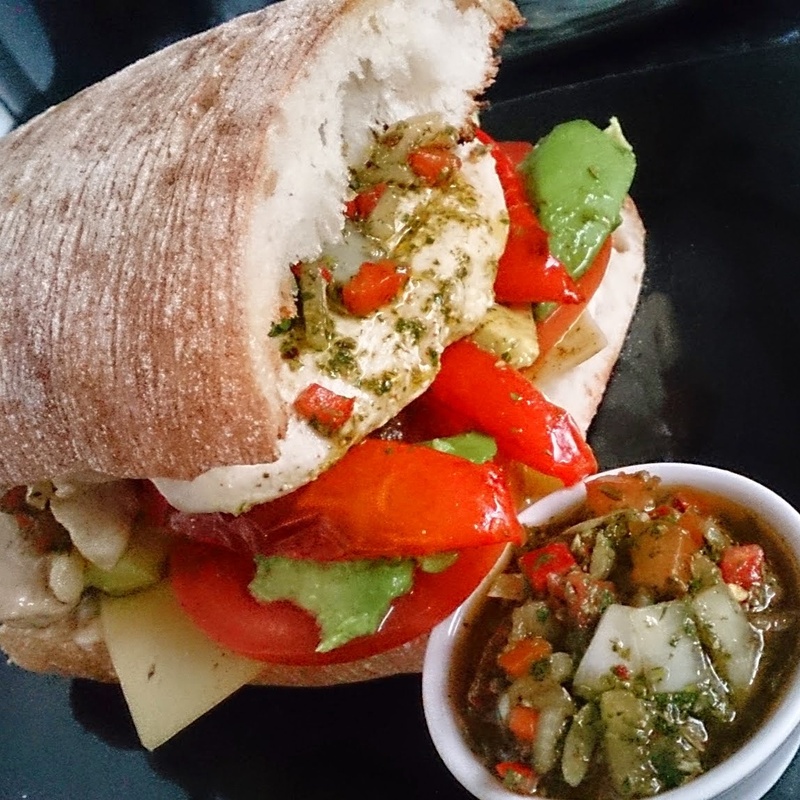 Start with one piece of toasted ciabatta, a good spread of garlic aioli, slice of tasty cheese, couple of slices of tomato, salt n pepper, smashed pieces of avocado, grilled capsicum. Finally your chicken pieces and a good dollop of chimichurri. Last piece of ciabata toast. 5. Add chimichurri on the side for extra flavour, enjoy. Posted in DinnerTagged burger, burgers, chicken, chicken breast, chicken burger, chimichurriBookmark the permalink. this looks just like my favorite sandwich at a local bar/restaurant- I can never figure out what the ‘secret ingredient’ is that makes it taste so good. Maybe its just that someone else makes it for me.. Thanks for sharing!